This is the 28th chapter in the revised online version ofThe Republic of Rumi: a Novel of Reality. The next three chapters are rooted in the awareness that the solidarity of the Muslim nation rests on its hold on an ideal, unlike territorial societies that rest on a concrete thing, i.e. their country. The word for motherhood is umoomat, which comes from the same root as ummat, which means a nation or a community of the followers of a prophet. Fatima was the daughter of the Prophet and was married to Ali. She was the mother of Hasan, who forewent his claim to caliphate in order to reconcile the warring faction of the nation. 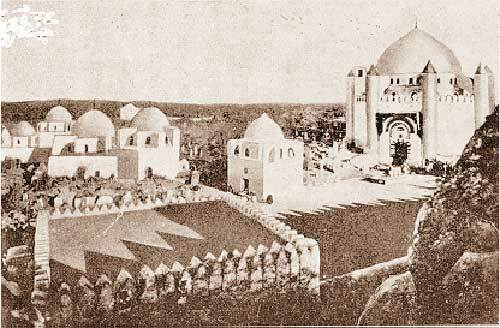 The other son of Fatima was Husain, the mystery of whose sacrifice was revealed a while ago. She led a simple life, taking pride in poverty just like her father. Only...those are worthy of Allah's praise who have somehow took a side road from all these desires. May Allah help me and all of us (women) to truly walk on the Fatima (RA) path...Ameen.